Samuel G. Puryear, Jr. has been a leader within the golf industry by touching lives and instilling dreams. With more than a two-decade career in the game of golf, Puryear has contributed to maximizing potential in the young people that he has worked with. He played collegiately at Tennessee State University, graduating in 1992 with honors. Puryear kicked off his career in the golf profession in 1998 as the Executive Director of the East lake Junior Golf Academy in Atlanta, Ga. From 1998-2006, he increased enrollment from 150 to 1,000 students. Understanding the importance of junior golf in a community, Puryear has been a prominent spokesperson for the topic and directly impacted the revitalization of the East Lake community, which at one time was saturated with crime. His efforts garnered recognition from CNN, ESPN, the Disney Channel, Inside the PGA, and other media outlets. In addition to student development, he was responsible for the development and cultivation of key relationships, resulting in large corporate sponsorships and the creation of a pro-am event with the PGA Tour Championship. From East Lake Junior Golf Academy, Puryear jumped into the collegiate coaching ranks as the first full-time men’s assistant golf coach at Stanford University in 2006. During his stay on the west coast, the Cardinals won the 2007 NCAA Division I National Championship, holding the No. 1 seed; two PAC-10 championships; and two NCAA West Regional Championships. Stanford climbed the polls during Puryear’s time there going from No. 42 to No. 1 in the Golfstat, Golf Week and Nike Coaches Poll. Administratively, he served as the tournament director for the Stanford Intercollegiate, operated three golf camps, and conceptualized and developed the program’s first team-based leadership component. Puryear excelled at recruiting, signing a U.S. China Cup team member, a second team All-American and a Junior World Team Member. Following the 2006-2007 year, Puryear made the move to men’s golf head coach at Michigan State University. His four-year tenure with the MSU Spartans included a Big Ten Coach of the Year nomination (2008), a Big Ten Championship title (2008), and one NCAA East Region Championship appearance (2008). In addition to team accomplishments, Puryear’s MSU teams registered nine individual tournament wins. The Spartan golfers also excelled in the classroom, resulting in one student-athlete earning an All-America Student Athlete Award, several receiving All-Academic Big Ten honors, and the team gaining All-Academic recognition by Golf Coaches Association of America for teams with a 3.0 or higher grade point average. Success has followed Puryear to Queens University of Charlotte. The women’s program won back-to-back conference championships in 2011-2012 and 2012-2013, which are the only two conference titles in the university’s history. 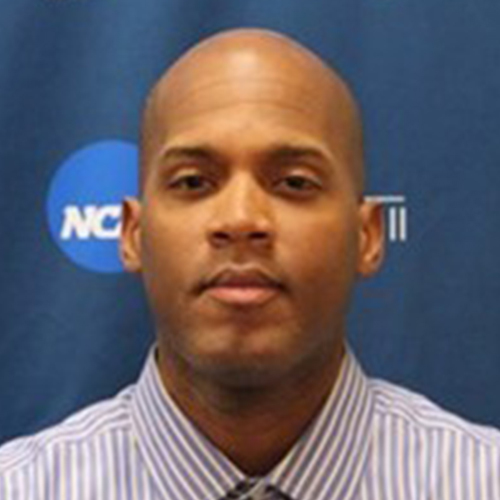 Puryear also led the men to a conference title during the 2012-2013 season, where they were ranked 42nd in the nation. After qualifying for the NCAA Regionals in the 2013 – 2014 academic year, the team completed the season ranked 23rd in the country. In 2014 Puryear received the title South Atlantic Conference Coach of the Year. The Royals golf program continues success in the classroom with a plethora of all-academic performers each season. Puryear brought his fundraising talents to Queens as well, and developed an athletic department golf tournament that benefits all sports.